Performance is a funny thing. Success breeds greater expectations, dominance makes consistency mundane, and impressive details can get lost on a decorated resume. 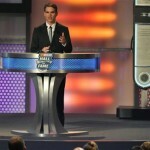 Recently retired racing icon Jeff Gordon hangs up his helmet having amassed a great body of work, evidence to future generations that never saw him on the track will be able to view, and know there were few- if any- better. 4: The number of championships Jeff Gordon won. 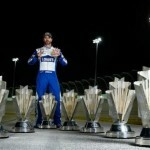 Only Dale Earnhardt, Richard Petty and Jimmie Johnson have more. Even more impressive is that unlike other racers whose careers steeply declined at the end, Gordon was a championship contender in his final race. Petty can’t say that, Darrell Waltrip couldn’t say that, Bill Elliott could not make that boast in spite of their greatness. Short of winning that championship a week ago Sunday, Gordon could not have done any better. 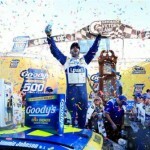 Gordon also won the spring race at Bristol four times in a row, and the Southern 500 at Darlington four times in a row. Here’s another amazing stat involving the number four and Gordon: in 1998, he won four races in a row at such divergent tracks as Pocono (triangular superspeedway), Indianapolis (an almost rectangular, flat superspeedway), Watkins Glen (a road course), and Michigan (your basic “cookie cutter”). 93: Gordon’s number of career victories in the NASCAR Sprint Cup Series. Only Petty (200) and David Pearson (105) had more. 21: The number of times Gordon finished top 10 in the season’s standing. This from a career that spanned 23 full seasons. 11: The number of times Gordon finished in the top five at season’s end. He was a model of high consistency. 47: The number of victories he won in the 24 car spanning 1995 to 1999. During this time, Gordon hoisted three championship trophies. Dominance like this is only seen in other greats like Petty, Pearson, Cale Yarborough, Waltrip, Earnhardt and Johnson. 13: The number of wins Gordon reeled off in 1998, the most dominant season any driver has ever enjoyed in NASCAR’s “Modern Era” (1971-present). 25: The number of tracks where Gordon earned victories. 9: The number of victories Gordon achieved on road courses. It is no surprise that the driver who once aspired to race open wheel would NASCAR’s number one winner on courses of right and left turns. 26: The number of wins he won before his 26th birthday. 15: Gordon’s number of wins before turning 25. 232: The number of races it took Jeff Gordon to get to 50 wins. Nobody got there faster. Darrell Waltrip took 278 races to get to 50 wins to place second on this esteemed list. 186: The number of races it took the Rainbow Warrior to get to 40 victories. Only NASCAR pioneer Herb Thomas (151) could top that. 2: The number of seasons that Jeff Gordon failed to win a race (2008 & 2010). 75: Gordon’s number of second-place finishes. 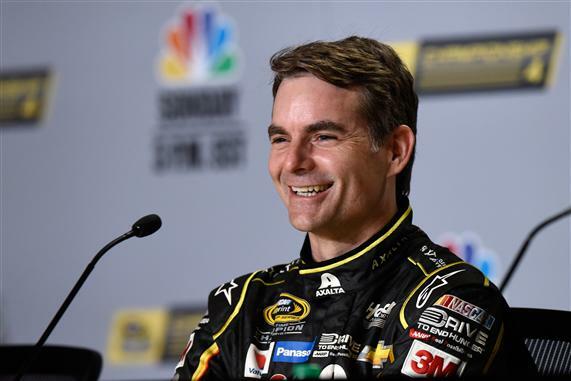 $108,897,229: That’s how much money Jeff Gordon earned racing in the NASCAR Sprint Cup Series. 298,397.6: The number of miles Gordon raced. You could circle the Earth at the Equator 11 times and have enough mileage left over to almost make a 12th time. The list goes on and on. Jeff Gordon is to NASCAR what Babe Ruth was to baseball, what Jerry Rice was to the NFL and what Kareem Abdul-Jabbar was to the NBA. Even more impressive was who Jeff Gordon was competing against during the course of his illustrious run: Dale Earnhardt, Rusty Wallace, Dale Jarrett, the Busch brothers, the Labonte brothers, Jimmie Johnson, Tony Stewart, Matt Kenseth and more. No question he is among the all-time greats; dare we even suggest he may have been the greatest? It’s impossible to prove that, but he’s in the conversation. Johnson, Earnhardt, Petty: Who’s The Greatest?